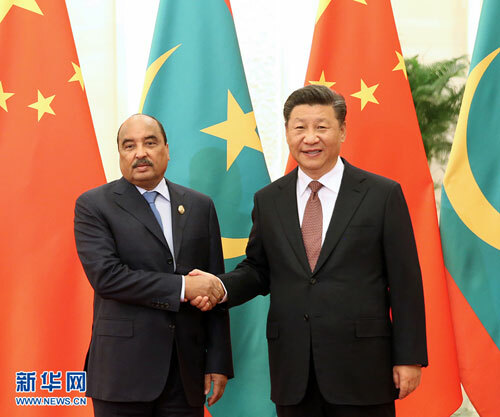 BEIJING, Sept. 2,Chinese President Xi Jinping met with Mauritanian President Mohamed Ould Abdel Aziz on Sunday ahead of the 2018 Beijing Summit of the Forum on China-Africa Cooperation (FOCAC). China-Mauritania relations are a fine example of China's relations with African and developing countries, Xi stressed. 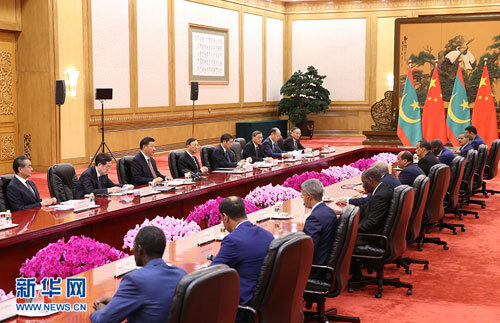 China regards Mauritania as a sincere and reliable friend and partner, and appreciates the firm support that Mauritania always gives on issues involving China's core interests and major concerns, Xi said, adding that China will continue to support Mauritania's efforts in safeguarding stability and seeking development. The two sides should regard the Belt and Road cooperation as a new starting point for innovating cooperation models, pushing collaboration in key areas including infrastructure, and strengthening the ability for Mauritania to achieve self-reliant development, Xi said. China appreciates the active role that President Aziz plays in the regional efforts to fight terrorism and maintain stability, and is willing to cooperate with member countries of the G5 Sahel in peace and security via various ways. Aziz said Mauritania speaks highly of China's firm support for multilateralism and its contribution to world peace and security, and highly appreciates the proposal by President Xi of building a community with a shared future for humanity. Mauritania firmly upholds the one-China policy, Aziz said, adding that Mauritania believes that the Belt and Road Initiative will promote Africa-China joint development while the FOCAC Beijing Summit will promote Africa-China cooperation and the building of an even stronger China-Africa community with a shared future. After the meeting, the two leaders witnessed the signing of bilateral cooperation documents.